The Yakima, self named the Waptailmim (“People of the Narrow River”), are a Native American people belonging to the Confederated Tribes and Bands of the Yakama Nation. In 1993, the nation's tribal council voted to change their name from Yakima to Yakama. Historically, they lived along the Columbia, Yakima, and Wenatchee rivers in what is now the south-central region of Washington state. 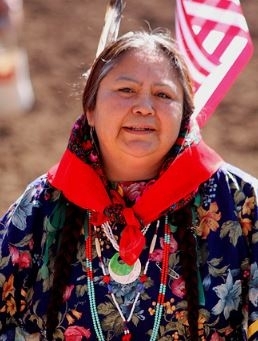 Their language, Yakama, is related to Sahaptin languages. The majority of Yakima converse in English. Some Yakima, especially elders, residing on the reservation are still able to converse in Yakama. They conduct classes on the reservation to promote the preservation of the language. The Yakima have a lot in common with the Nez Perce, Tenino, Columbia River Sahaptin, and the Northeast Sahaptin in that they all shared cultural traditions centered around salmon. Religiously, they are Washat (Seven Drum), Shakers, or several Christian denominations including Baptists, Pentecostals, etc. Washat or the Seven Drum religion is a indigenous religion of the Columbia Plateau. It combines elements of the Prophet Dance with some older Native traditions and some Christian elements. Its interwoven components include vision quests, spiritual power, shamanistic curing, and tribal behavioral norms and morality. For more information about the Yakima, visit the Yakama Nation website. Pray that God will work in the hearts and minds to understand and receive the truth of the gospel of Jesus Christ. Pray for evangelical Yakima to share the message of Christ both in word and deed.